Keep calm and travel on. 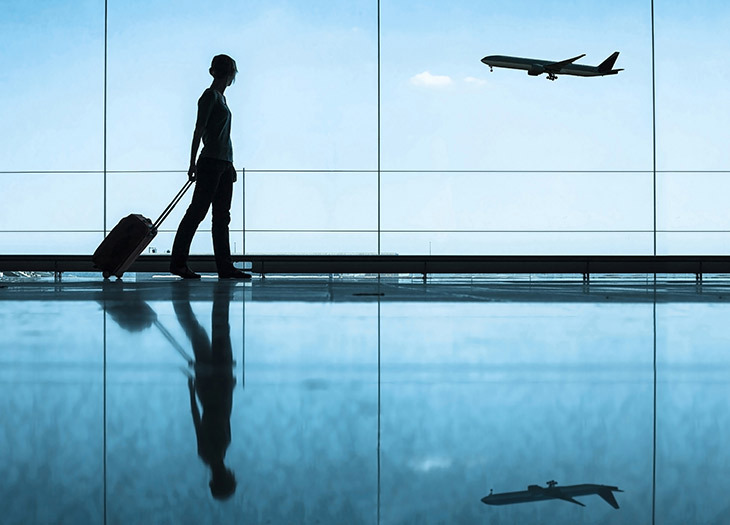 Five tips for making your next flight fly by. 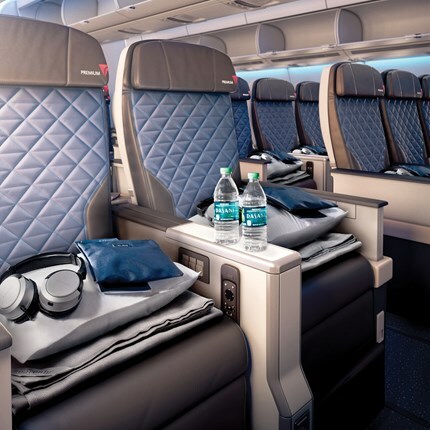 Delta’s premium economy cabin and (below) Global Entry goodness. “I’ve had the same list of flight essentials for years: my travel pillow, a thick pashmina scarf that doubles as a blanket, an eye mask, earplugs, antibacterial wipes (for the tray table and armrests), and protein-rich snacks. I also try to walk around and stretch to avoid deep vein thrombosis. And I won’t fly without Smith’s Rosebud Salve, which combats the effects of dry, recycled cabin air.” $6, anthropologie.com. “I can’t say enough about the convenience of Global Entry, which speeds admission into the U.S. after international flights and includes TSA Pre-Check for domestic flights.” Five-year memberships, $100; apply online at cbp.gov/travel. “Bose QuietComfort noise-canceling headphones are a must. I like the QC25 model – great sound and super-comfortable ear cups. It uses a AAA battery, so pack some extras.” $300, bose.com. “I also love the Bluesmart One smart suitcase. It connects to your smartphone through an app and lets you do some cool things such as track your luggage, check its weight, and even charge your devices.” $359, bluesmart.com. Originally appeared in the February 2017 issue of Virtuoso Traveler.